Raises the memories memorized and turns into force. Invite you to the world of SOUKI. In 1990, performance group “SOUKI (recall)” established by Enoko Yoichi. Their expression underneath them is pantomime (PANTOMIME). However, the expression creates a unique universal interpretation of SOUKI by passing through a variety of artistic expressions such as BUTOH, ballet, theater, dance, and Peking Opera. When concrete and abstract, technique and movement, and their body supporting them become one, SOUKI’s work group “PERFORMING-ARTS” is born. 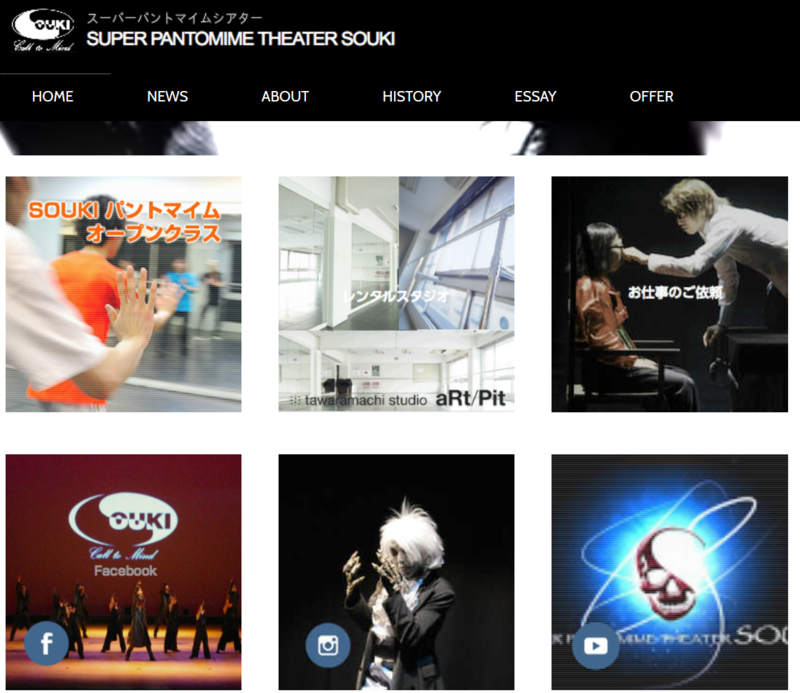 Also, in order to spread the entertainment of pantomime to many people, we created a series of works focusing on entertainment thoroughly, “PHANTOM” series and Mime plays based on Shakespeare, Kenji Miyazawa, original Rakugo, as well as the original ing. In addition, he announced collaboration work with unprecedented Kabuki and gained popularity. Enoi Enoshi, presided over by Yoichi Enoshi, is one of the few creators in Japan who produces and choreographs pantomime works (silent play), and in recent years has been drawing attention by expanding the range of musical and dancing performances, choreography and activities. In addition, he is also devoted to teaching backwards and has cultivated excellent performers and dancers.